The inside of our AirBNB in Silver Plume the night before attempting to climb two 14,000-foot Colorado mountains provided a mix of excitement and concern, optimism and worry. Silver Plume is an eccentric little town, a mix of Colorado’s old and new. Our AirBNB, an adorable Victorian home, stood across the street from a marijuana store and had the address of, as God is my witness, 420 Woodward Street. Our group of seven had enjoyed a fun day by the time we settled into the little house in the mountains. We woke up in Colorado Springs and drove up a 14er, Mt. Evans, on the United States of America’s highest paved road. The upper reaches of the Mt. Evans Byway are strikingly beautiful and strikingly frightening. You’re so high and the cliff is right next to you at times. I put on a brave face, as one would expect from a stoic rural Midwesterner, but my attempts to break the tension with chatter were betrayed by my sweaty palms on the steering wheel. I was that emoji that’s smiling big with a drop of sweat on its face. But I’d rode as my dad drove on more harrowing mountain roads than this, so I kept it together. Thankfully, by the time shotgun rider Brendan Sapp realized the light rain had become light slushy snow on the windshield, we were close enough to the top to just ease on up the rest of the way. We enjoyed the spectacular views, which included a couple getting engaged. We took scores of photographs and congratulated ourselves on our bravery. So we had lots of good momentum when we arrived in Silver Plume, a lovely mountain town with lots of mining history, over 9,000 feet above sea level. It was Brendan’s sister Alyssa’s birthday, so while she was outside, we quickly lit a scented candle that became a birthday candle and assembled a “birthday cake” out of pop tarts and peanut butter Oreos. We walked through the town’s quaint main street, past the old bakery where my family stopped on many a trip to Colorado. We were excited and ready to roll. But we also had concerns. 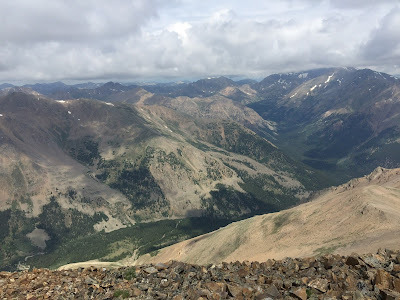 We’d planned a long round trip hike, over 8 miles, up Grays Peak, over to Torreys Peak, two 14ers on the Continental Divide, and back down to the trailhead. One snag: The uphill three-mile road to the trailhead was a little dodgy for two-wheel drive vehicles, especially if you’re fond of said vehicles. We briefly considered renting a four-wheel-drive vehicle, but then decided we’d just walk up the road to the trailhead. Our already challenging hike had grown to a daunting 14-mile-plus round trip, with a lot of elevation change. Making matters worse, my friend Seth Maberry had developed a headache on the way down from Mt. Evans. It was probably an altitude thing, but he definitely seemed like less than his best self as bedtime drew nearer. 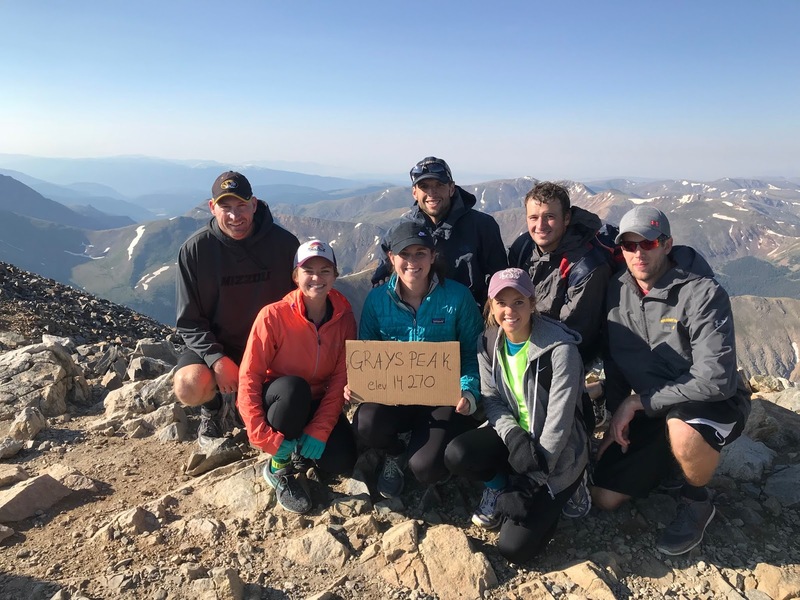 While he lay down for a while, generally not resembling a man about to climb two 14ers in a matter of hours, in the kitchen his girlfriend, Abbie, dutifully made signs for Grays and Torreys peaks, listing their elevations. She had faith. We wanted to be at the trailhead around 6 a.m., and since we had a bonus three uphill miles thrown in for free, Maberry wanted to leave the AirBNB at 4 a.m., or as close to it as possible. Setting my alarm, I basically had to fight back tears. You getting in your car and driving to Neptune for some groceries would be about as natural as me leaving the house at 4 a.m. I tried to go to bed at 9 p.m., like I was Amish, although my body initially resisted. As I lay in bed, I tried not to worry about the challenging hike ahead of us, so I prayed. I prayed for God to help us to be able to manage the extra road part of our hike, that we could enjoy the day and the beauty of God’s creation. I prayed for everyone in our group, Maberry, his brother Oren, Abbie, Brendan, Alyssa, Abbie’s friend Emma, and myself. Eventually I drifted off to sleep. I woke up “in the night” but it was still the same day, like maybe 10 p.m. Absurd. I’d wager that there was never more than an hour of all of us sleeping, with our anticipation not meshing well with the idea of solid sleep. Soon enough, our little house came to life. Dressing, packing, pump-up music, Instagram stories. Mabes seemed better. I loaded Smart Water after Smart Water in my backpack like I was loading shells before the bombardment of Fort Sumter. We stepped out into the darkness, stars above framed by looming black mountains. I drove my car the couple of miles to our starting point. Alyssa played “Rocky” music for motivation at Oren’s request. We parked at the lot at the base of the road leading to the trailhead. We started walking up the road, in darkness, about 4:25 a.m. A few of our crew had headlamps or flashlights. I prayed for safety and that we would make it along okay. Just focus on getting up this three-mile road first, I thought. Within minutes, a Subaru with two girls in the front seats eased up the road. We stood off to the side. They stopped and asked if a few of us wanted a ride up to the trailhead. We had the three girls in our party get in. Off they rode up to the trailhead. The four of us guys kept walking, higher and into the darkness. Within two minutes, a Ford SUV pulled up next to us. An older man asked if we wanted to ride. He said the back seats were folded down but we were welcome to ride. The four of us clambered in. It wasn’t super comfortable, but it was what we needed. I chatted with the man, who was riding shotgun. A woman was driving; I think she was his daughter based on the stories he told. 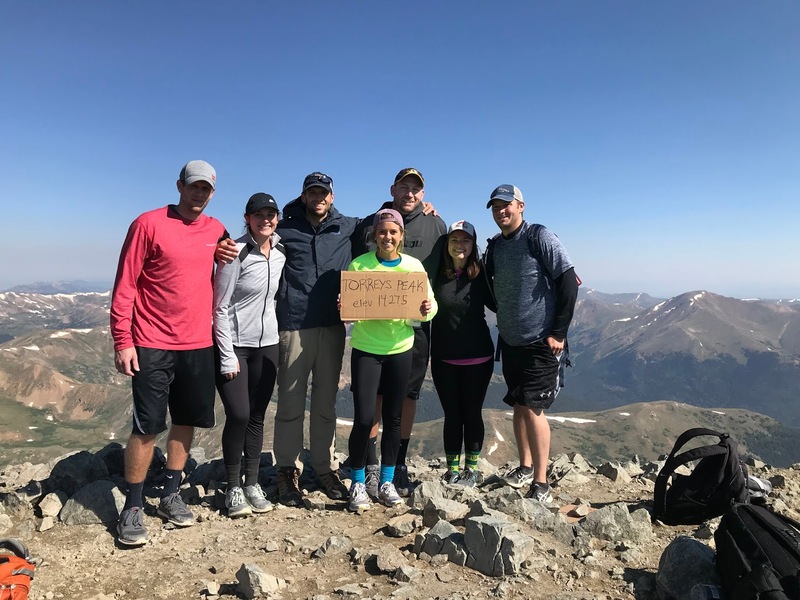 He said he had had a health scare, but had received great care at St. Luke’s Hospital in Kansas City (where my nephew was born and spent the first month of his life), and now every year to celebrate they climb a mountain in Colorado, where he lives now. He and the woman who was driving both went to Kansas State, and we talked about agriculture and careers and Bill Snyder, one of my favorite college football coaches. Here was the answer to prayer, seemingly tailored to me and my group. They dropped us off at the trailhead. I offered the man money but he wouldn’t take it. As I was lowering myself out of the back, my foot was so asleep I couldn’t tell if it was touching the ground. 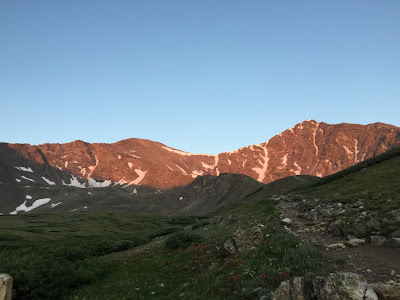 But we were at the trailhead, around 11,000 feet, and it was barely 5 a.m. Incredible. It was just getting light, and it was so beautiful in the high mountain valley. The air was crisp and still, and the sky was cloudless. We held hands while Oren said a prayer for our hike ahead, and then we headed out. To pass time and because I was so thrilled with how our day had started, I walked at the back of our group and prayed for each person as we hiked along. It was pretty emotional thinking about my worries and God meeting our need, as He often does, in such a cool way, combined with the raw beauty of the scenery. We hiked and hiked, through scraggly bushes ranging from knee to chest high beside us, up the pristine valley, as the light grew. Eventually we rounded a slight curve and came up to a sign. Behind the sign were Grays and Torreys Peaks, joined by the ridge of the Continental Divide, glowing with the morning sun that was hitting them. We took pictures and then pressed on. Eventually the bushes stopped and we were fully above timberline. The trail wound up and around and over shattered rocks, some bigger and some smaller, a lunar landscape at times. We got higher and the air got thinner. There were a few steep stretches where I was breathing deep, leaning forward like a ski jumper in mid air. I was impressed at the gradual determination of our group. 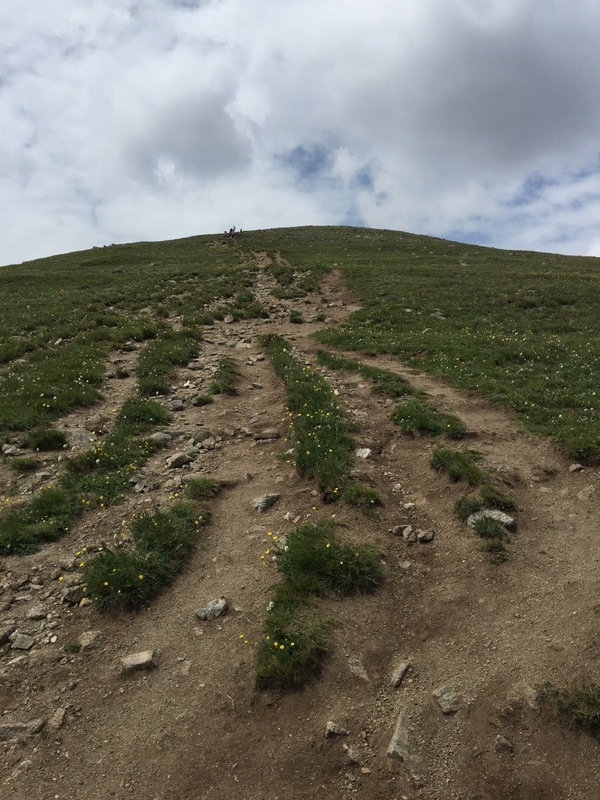 Finally, toward the top, the trail switchbacked up and up the gradual slope of Grays Peak. We rounded the last switchback and as we rose up the last incline, suddenly the view on the other side of the peak came into view, like someone raising an immense curtain. One by one, we set foot on the top and gazed in awe at the views, peaks and ridges and valleys, as innumerable as stars, all stretching out in every direction. There was some wind on the summit at times, reminding us we were at 14,270 feet above sea level, which is not a delicate climate. Still, we took pictures and hugged and talked. I checked the time. 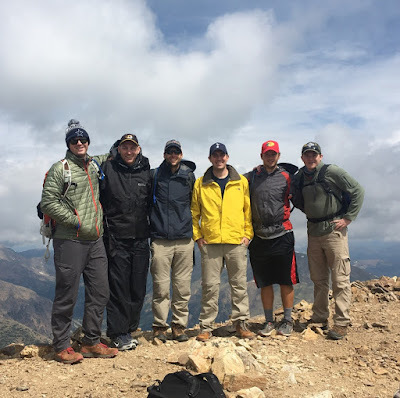 It was, ridiculously, only 8 a.m., and here we were atop a 14er. 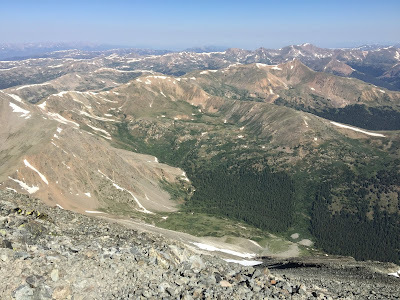 Most days I don’t even have proper pants on by 8 a.m.
From the summit of Grays, we saw just how steep and jagged the route up Torreys Peak was. 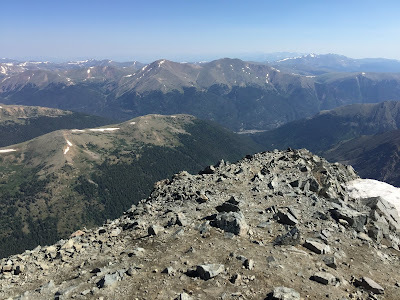 We decided to hike down the Class 2 rock scrabble down to the saddle between the two mountains, eat there, and decided whether to take a stab at Torreys Peak. We walked slash slid down to the saddle, holding an impromptu picnic between the Atlantic and Pacific watersheds. I had Uncrustables, cashews, Smart Water and fruit snacks, like any adult would do. As expected, Mabes suggested we give Torreys a shot, since we were so close and we’d made such good time. All seven of us headed up the mountain, with the trail starting out steep but manageable. 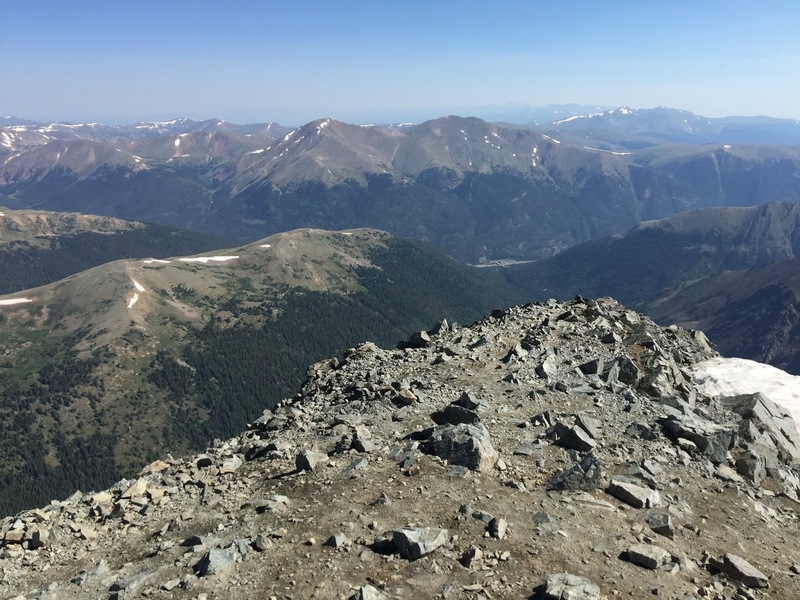 It was sharper and a more narrow ridge than the rounded Grays Peak. To our left was a rocky slope. To the right was a snow shelf and then a drop down the face of Torreys. We got above that section and the path got steeper. It was pretty challenging, and we could see we were still hundreds of feet below the summit. The tiny colorful figures nearing the summit seemed so far above us, but we pressed on and on. Still, it was quickly apparent this would be a challenge, with the rocks and looseness and upward angle. Brendan, Alyssa and I paused a moment, unsure whether to go or if we could make it. Oren had the right message for the right moment. Couldn’t quit then. I had a taste for battle now. We hiked on, and from then on we pretty much stopped taking breaks because that meant lost momentum and difficulty getting started again. That climb was deeply moving and powerful and spiritual. It was also quite possibly the toughest thing I’ve done physically. Breathing deep, we willed ourselves onward. Upward. Excelsior. Without breaks, we strung out some, but we had little pockets of hikers together. I think we drew strength and energy from each other. I wasn’t stopping, for them and for me, even if each step was a fight. We just kept digging. Just 20-25 minutes of total effort. Kept thinking I’d never get there. But I kept thinking about the times in my life where I had to keep going, keep trusting that I’d get there and it would be worth it. We got to the top and it was incredible. If there weren’t sharp rocks on the top I would’ve flopped on my back like an exhausted tennis player after winning a major. It was a moment. Oren, then Alyssa, then I summited. I wasn’t sure if the rest of our party would make it, but sure enough eventually all seven of us had made it to the top. More pictures, more incredible views, awe-inspiring beauty of nature, of creation. I-70 was a narrow set of lines far below through one gap in mountains. It was an incredible sense of achievement and perseverance. It was 9:37 a.m., and after some lingering celebration and wonder, it was time for the long trek down. Torreys Peak is 14,267 feet or 14,275 feet high, take your pick, so it was a long way down. We trekked down to the saddle, then headed on the cut-through trail back to join the Grays Peak trail. 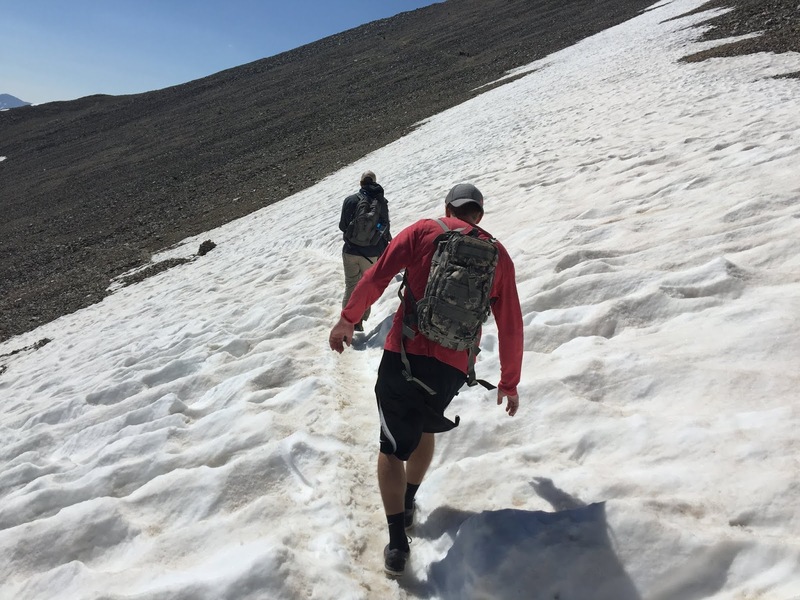 We had to walk across a long snow drift, walking like someone balancing a book on their head, not wanting to slip and fall onto rocks just beyond the snow. We chatted on the long, triumphant walk down the valley, returning to the trailhead shortly after 1 p.m. We rested and ate for a bit there, and then prepared for the three-mile walk down the road to our cars. We were worn out, but headed down the road. After 15 minutes or so of walking and chatting, a truck passed by and offered us a ride. I rode in the cab and chatted with the driver. He was from Missouri, having attended MU after playing football a little at Northwest, where my brother went. He taught and coached in Carrolton, home of my dad’s favorite radio station, not far from my hometown. He talked about the football team he helps coach, a team in the district of the team my brother covers for the newspaper. Another answer to prayer, again complete with a little wink suggesting it was a solution crafted just for me and my friends. That evening, we celebrated in nearby Georgetown as well as one can celebrate in that town. 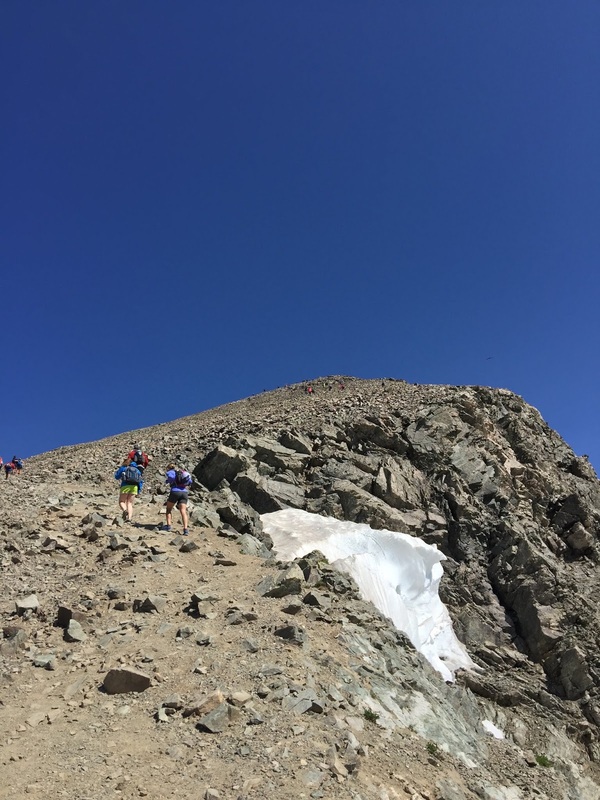 It had been an incredible day, with two 14ers climbed and answered prayers and that special moment high on the slopes of Torreys Peak, a moment I won’t soon forget. I leaned around the side of the tiny head of hair I was brushing and asked the question to the serious little Honduran face. The small lips parted and the answer arrived. Always trenza, always a braid. I had never braided hair before, but at that moment I was called to braid hair, so braid I did. For the kids with lice, we gave a lice treatment, and then all kids got their hair washed and brushed and combed and styled. The kids were so beautiful, so well behaved. Children made in the image of God have immense value, and our job that day was to help them know that, even if poverty and other rigors of growing up in a Third World country tried to make them feel otherwise. A small, shy smile crept onto her face. 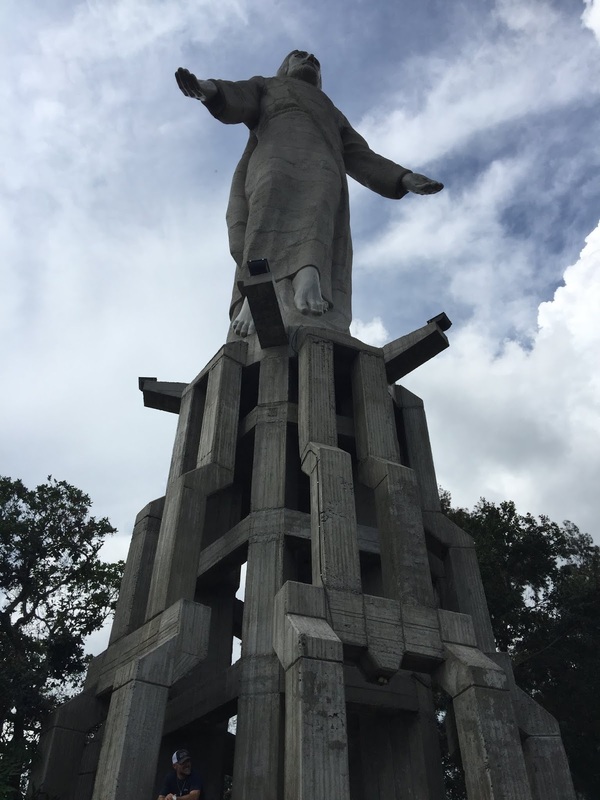 In hindsight, it’s hard to say exactly how I ended up going with a group of 20 people from my church in Columbia, the Crossing, to Tegucigalpa, the capital of Honduras. I saw the notice in the church bulletin and it just seemed like the thing to do. I’d been bemoaning my lack of international travel, and I’d been craving chances to serve people in big and different ways. I’d had a few setbacks early in 2018, reminders to turn my focus back to God and find my purpose and happiness in helping and serving others. That feels like what we were meant to do, that more abundant life Christ promised. It was fascinating on the trip hearing all the reasons our big and varied group made the trip. Wanting to deepen faith. Wanting to serve. Wanting to develop self confidence. Wanting to continue seeking God while walking life’s messy road. But sometimes it’s a beautiful road that leads you to a poor, gorgeous country in Central America. I didn’t know any of those stories and reasons for coming when we landed, but I was already starting to like my teammates. Even for an introvert like me, the chemistry was building. With the mountains around Tegucigalpa and the relatively short runway, the landing gets your attention. Sitting in a row with my new friends, I put on a brave face. The plane banked like it was making a turn high in the air, but rooftops zipped by just below. But the pilot leveled the plane at just the right time and made a surprisingly smooth landing. Wheels down in Honduras. We left the plane via steps onto the tarmac and so I strode down them and away from the plane like a Kennedy. After the meal, we boarded a bus that would take us to the World Gospel Outreach mission house where we were staying. This was our first introduction to the ridiculous world of driving in Honduras. Our intrepid driver, Pedro, worked through the gears on the manual transmission diesel school bus, zipping through traffic in the winding, corset-snug roads of Tegucigalpa. We eventually started winding higher and higher, seeing breathtaking views of the city below. Finally, far above the city, we went through not one, but two, security gates and were at the mission house. We filled the remainder of the day with meetings and orientations and food. My bed was by the window, and I could look down at Tegucigalpa in the valley down below, so many lights and neighborhoods and buildings, so many people, each with their own story, each viewing their whole life and the entire world through their own experiences. I loved this vantage point, whether from the back patio at the mission house or from my window, in the quiet of night, the big city glowing below. Sunday was Honduran church. Hoo boy was than an experience. Latin culture often seems festive, making any activity a little more fun. The church service was hot and long… and fantastic. Song after song, beautiful even with my limited grasp of Spanish, so much power and energy. I glanced at the Hondurans, many swaying or moving their hands with the music, pouring their souls out. At one point, the woman leading the song gestured to us, their honored guests, and said they would sing a chorus in English for us. It was fantastic. Then came the sermon, with the pastor saying a line of her sermon, then pausing for our interpreter, Roberto, to translate it. It was special, a picture of what heaven will be like, people of different languages and cultures all together praising God. The congregation was so good to us, welcoming and shaking hands. I remember one person asking, “What’s your name?” in English. Then it was on to a park with a nice view overlooking the city, along with some local Honduran handmade souvenirs for sale. We ate at a Honduran restaurant afterward, a nice mix of meat and rice and veggies and chips. I downed Pepsis from glass bottles. I had a great conversation with the people at my table, already growing in friendship with the people from my team. We returned to the mission house and had a few hours to kill. A few people had found a soccer ball, naturally. That was it for sporting goods, so we got a pickup soccer game going. My team was gritty and tough, but the other team featured two girls who had played soccer in high school, one of whom also played in college. We kinda got housed, but I provided good natured narration of the action and sneaked a goal or two in, audaciously proclaiming afterward we may have won 10-3. Later, we gathered in a gradually growing circle of people, trying to keep the ball in the air with our kicks (and occasional flagrant handballs, volleyball style, because just doing something with only your feet is really hard). It was great for getting to know each other and to just have fun and be ridiculous before the main work of the week began. 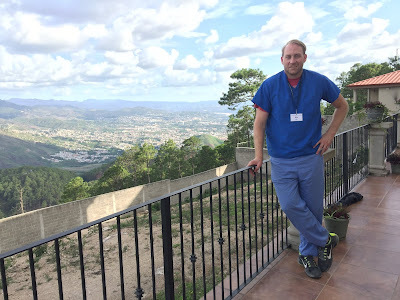 When we shared why we were there, what we expected and what we feared ahead of the week, my fear was that I wouldn’t be able to contribute enough, as I didn’t possess real medical, dental, optical or construction expertise. But like my great friend Brent Foster once said, you can always carry water for the people who are providing medical services. I prayed and trusted God would put me to use. Boy did He ever. As is often the case, in hindsight my worries were nonsense. Our days were packed and pretty fantastic. My lack of expertise meant I got to do some of almost everything, which was pretty cool. Monday I spent the day doing evangelism, which was a little daunting just because I don’t spend a lot of time asking direct questions about people’s faith, certainly not strangers. But my job has prepared me for talking with strangers, and with some prayer and a good interpreter I was ready to go. It was really cool to talk with people about their lives, see some of them commit to Jesus. It had its challenges. Some of the Hondurans I talked with were dealing with a lot of stress. Family disagreements, kids with alcohol problems, unemployment. It was heartbreaking when one guy said he was struggling to support his fiancee and couldn’t find work and was asking me what he should do. The people kept coming, and it was pretty draining mentally. But also really special at times and even funny. The people were so great to talk with. 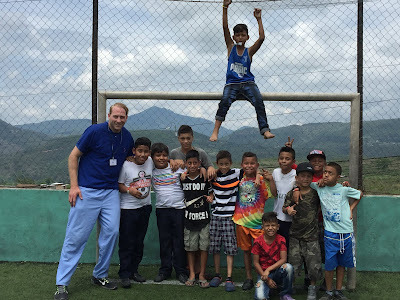 Also, during my lunch break, I heard there was a soccer field on the roof of part of the church and I got to go up there and play “the beautiful game” with the kids up there. I clumsily hit a header and called out “cabeza!” The kids had skills. They asked if I was from New York. Tuesday I got to help with the kids in the morning, telling the Gospel story and singing silly songs with them and styling their hair. That afternoon I got to help with construction. It was hard, grinding work, but sometimes it feels good to work with your hands. Of course, this work involved mixing concrete with shovels. A big concrete truck wasn’t rolling down the street anytime soon. So I shoveled away, sweating like a cartoon character caught in an obvious lie. The locals and the people from our team who poured the concrete floors did spectacular work. As we left, we drove past horses eating from a dumpster overflowing with trash. Strange sight indeed. Wednesday we got to go up in the mountains and tour World Gospel Outreach’s ranch where at-risk kids can stay. It was pretty cool, but my favorite part was getting to see rural Honduras, including their cows and their agriculture. I enjoyed winding through the little villages strung along the dirt road, although the ride was bumpy. Thursday I got to try my hand in the medical section, with the patient nurses on our team showing me how to take blood pressures. Somehow I avoided a grisly blood pressure taking injury and things flowed pretty smoothly. In the afternoon I got to help in the pharmacy area. 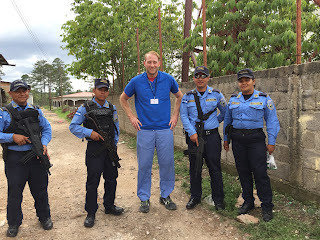 There was not much interaction with Hondurans at this post, but it was a good chance to do some behind the scenes work and have a little deeper conversation with the other members of the team. Friday morning was more pharmacy work, plus some time to take my turn walking around the site and praying for our people. It was cool to see our whole team at work, all doing their thing, all serving and reflecting God’s image in their own way. 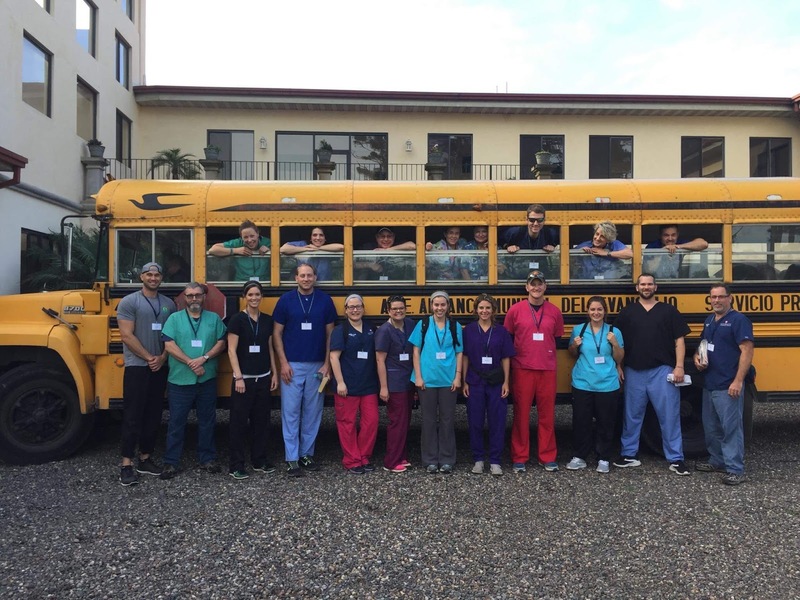 The two areas I didn’t help with that week were optical and dental, but they crushed it, providing literally life-changing services. I made a point to sit with Hondurans during our last lunch break, chatting in a mix of English and very remedial Spanish, at one point asking, “Te gusta Kim Kardashian?” They did not. That afternoon was a little more time with the kids, including hair washing. I was dumping a pitcher of water to rinse out the hair. I don’t have a salon career ahead of me, but we got the job done. And just like that, our brigade site work was done. The days had been full and fun. The evenings at the mission house had been pretty great as well. We shared meals, we played games, we told stories from life. It was great to hear the stories of the good and bad in life, dreams and dreams deferred, the experiences that shape us, the stories of making mistakes and coming back from it. The team member-led devotionals were really cool. There were also lighter and funnier stories, games that came off the rails, and lots of snacking on Froot Loops. I semi-roll my eyes at “technology fasts,” but I’ll admit it was cool to focus on talking with other people, learning more about them, and reflecting. Sitting in a rocking chair in the cool of a Honduran evening was something special. I loved those nights. Friday night we took communion together, reflecting on Jesus’ sacrifice and ultimately the reason we were all there. It was a moment. Afterward we all went back into our conference room to wash each other’s feet, following Jesus’ example of humility and service. My new friend Alyson washed my feet, and I washed my new friend Jon’s feet. It was cool to give each other encouragement and words of affirmation during the feet washing. It was a fitting cap to our week in Honduras, as was one other experience earlier that day. At the end of our last brigade site day, Friday, we all gathered in a circle, Hondurans and Americans, and gave gifts to the local pastor. Our leader Erin gave some comments, as did the pastor. At the end he led the Spanish speakers in a lovely rendition of “Tu Fidelidad,” a Spanish worship song. It was special. Then the pastor said through an interpreter that he didn’t speak much English, but he enjoyed hearing it and thought it was a beautiful language. He asked if any of us were musical and could lead a song in English. Emily, a woman on our team, stepped forward. She asked Erin if they could sing the Doxology. It was a great pick, a fine showcase for the English language. The two women stepped forward and led the singing. Spoiler alert, Emily and Erin can sing. The singing rose up above our circle, higher and louder and more powerful. It was a moment, our last gift to this Honduran congregation. All the good stuff we could share and enjoy was from God anyway. And it had been a taxing week. All that was left was our praise. It had been a week for the ages, a group of very different people embracing those differences and using them to fill a wide variety of needs that week. God had stirred powerfully in our hearts, allowing us to go on the heights like the Bible says, driving ordinary, spectacularly flawed people to do sublime things. The problems and stress of life would be waiting when we returned to our regular lives. But the week had been a refreshing reminder of the bigger story. I have a pretty good life. But life never goes quite according to our scripts. I don’t know why I’m 31 and single, often painfully so. I don’t know why my progress as a Christian and a person isn’t linear, why I keep struggling and keep failing to meet my own ridiculous expectations for myself. But God picked me. God keeps lifting me back up. God said my narrative is bigger and more than trying to meet standards and goals. God sent His Son for me because He loved a flawed person like me. He sent the Holy Spirit to keep me company. The pain might never go away, but God definitely will not go away, and He promises to give me what I need. More than anything, this trip showed that God is at work in our lives, that more abundant life is there, even if it looks different from what we expected. By answering the call to serve, God lifted us up, like those words being lifted up in praise. The first time I watched Rafael Nadal play Roger Federer in tennis was in the spring of 2005, which kind of seems like a few lifetimes ago. In the fading light of a Paris evening, Federer and Nadal were grappling toward the end of a tense French Open semifinal. Federer, from Switzerland, was already the established and beloved champion, trying to fill out the career grand slam by winning the French. He was down two sets to one but digging deep, and the crowd was chanting his name to will him on… “RO-GER! (clap, clap, clap) RO-GER! (clap, clap, clap)” A few months previously, Roger had rallied from down two sets to none to beat Nadal in the Miami Open final, but it had been a grind. The Spaniard Nadal was the precocious teenager, smashing high-bouncing forehands the seemed to hiss and dive and attack his opponent. He was perfectly suited for grinding clay-court tennis. Once, with Federer at the net, Nadal hammered shot after shot, which Federer kept stabbing back at him. “A shot in the dark,” announcer Mary Carillo said of Federer’s volley winner. It’s kind of funny what you remember, that all these years later I remember sitting on the couch in my parents’ house, watching that, and the crowd chanting and the color of the clay and Federer at the net in the growing darkness and Carillo’s comment. Nadal went on to win, and take the first of his ridiculous 10 French Open titles. More than a decade later, after several classic Federer-Nadal matches, I stayed up all night watching the two aging legends battle five riveting sets for the 2017 Australian Open title. I rooted desperately for Federer, like all Fed fans, unable to stand the thought of Roger losing another big match to him. You see, in all those years of rivalry, Nadal probably became my top sports nemesis. I watched him with a mix of respect and fear, and it was always an event when Nadal was eliminated from a major. For my friends who saw the animosity up close, it probably seemed fairly ridiculous how passionately I rooted against poor Rafa. I wanted him out of the way for Federer, and to not come near Federer’s records, especially the Holy Grail, most Grand Slam singles titles. It’s like I was a Bond villain, and the lineup of players Nadal faced in tournaments was my lineup of henchmen sent to take him out. It was a little over-the-top, especially since the two tennis greats seemed to genuinely like each other, even as they battled again and again for tennis’ biggest prizes. There’s video of the two trying to film a promo for a charity event and they slip into a prolonged giggle fit, an inability to keep a straight face that would make Jimmy Fallon proud. But in some ways, I came by my disdain honestly. Nadal beat Federer five times at the French Open, four times in the final, including a lopsided straight sets final in 2008 that set the stage for an epic Wimbledon encounter. For years Nadal was the unbeatable roadblock to Federer winning the French Open; Roger finally prevailed in 2009 by beating Robin Soderling in the final after Soderling earlier took out Nadal in a shocking upset. There were other moments, too. Nadal won in five sets against Federer in the 2009 Australian Open final, which reduced Roger to tears in his post-match address to the crowd. “God, it’s killing me,” Federer said. Nadal put his arm around Roger to console him. Beyond the results, there was the style difference that deeply divided Federer and Nadal fans, even if in later years more and more of us might be appreciating the difference. Federer is art on a tennis court, a player who spurs the late David Foster Wallace to write brilliant pieces titled “Roger Federer as Religious Experience.” He seems to float and dart just above the court’s surface, hitting an insane variety of shots. He picks his spots to charge to the net with the calculating mind of a chess master. He whips one-handed backhands. Words like grace and elegance and genius are used to describe his game. He plays quickly and barely makes a peep during points. His early career ponytail notwithstanding, his fashion style is dignified, classic, almost aristocratic. Nadal is power. So much power. He digs in at the baseline and bashes the ball until he wins a point. He is also grit and competitive fire and iron will, running down ball after ball, battling each point as though everything was on the line, saving a bajillion break points and jumping and pumping his fist and me shaking my head and wondering how he ever loses a tennis match. His game seems created to give Federer problems, hitting high lefty topspin forehands to Federer’s one-handed backhand, the ball bounced up way higher than the ideal strike zone for a one-handed backhand. Nadal hitting high and wide serves to Fed’s backhand is basically a tennis cliche at this point. Nadal plays so. Darn. Slowly. And he unleashes loud groans on about every shot. So loud. His fashion style is occasionally cutoff shirts to show his spectacular arms, and freaking long pirate pants… on Centre Court Wimbledon. Ah yes, Centre Court Wimbledon. I’ve been stalling but we must tread here. Federer beat Nadal in the 2006 and 2007 Wimbledon finals, running his streak to five straight titles at the All-England Club. They met again in the 2008 final. Nadal was always the chaser, Federer the chased. Nadal had dominated on clay but had not yet won a major on another surface. The ensuing match was an absolute classic, on the shortest list for greatest match ever. 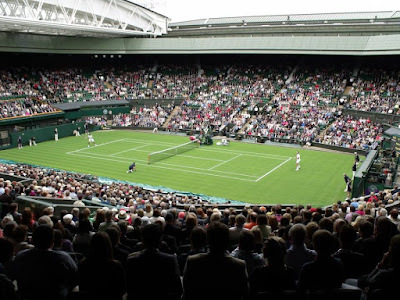 Played at tennis’ most hallowed venue, it was incredibly tense and gripping, the champion and the challenger, opposite equals doing battle, storm clouds brewing to add drama and cause rain delays, the last year without a roof on Centre Court to keep rain away. Nadal won the first set, and then the second. Federer dug in, not going to give his kingdom up without a fight, winning the third set in a tiebreak. Then Federer took the fourth set in a tiebreak, saving a match point along the way on what he still calls one of the best points of his career. The crowd exploded with roars when the fourth set ended. The fifth set had another rain delay and the two legends battled into near darkness, with Nadal prevailing 9-7. Federer would recover to win the U.S. Open later that year, but it was a devastating defeat. Fed mentioned it many times since then when citing examples of how tennis can be heartbreaking. He won Wimbledon the next year, in fact winning the tournament three times after that fateful 2008 final and winning eight Grand Slams so far since then. But it was still a tough tough loss. That loss alone would turn Fed fans against Nadal, let alone all the other big matches. So how on earth did I grow to admire Nadal? Early in the fifth set of that 2017 Australian Open “dream final,” when Nadal was up a break and it looked like the match was following the usual Fed-Nadal script (great drama, very competitive, but Nadal grinds it out in the end), I was a bit distraught. But as the epic decisive set raged on, and Federer dug in and came roaring back, and Nadal battled back, I came to appreciate what I was watching. “We are all fortunate to be watching this,” ESPN announcer Chris Fowler said. Nadal had not won a major in three years, and Fed hadn’t in four and a half years. Their rivalry seemed to be reaching its end as far back as 2013. But here they were, battling deep into the night and into their careers, pouring it all out. I cheered deliriously for Federer, but even I could see an appreciate the incredible effort Nadal was putting into the match. Federer won that night, countering Nadal’s advantage with fearless tactics, including stepping in closer to hammer Nadal’s shots before they could fully rise and be as lethal. It left little margin for error, but Fed’s aggression carried the day. He ripped backhands. That shot was finally not a liability against Rafa. In the post-match speeches, Federer didn’t gloat at all, instead saying something beautiful that no doubt pushed myself and other Fed fans toward embracing Rafa. Federer spoke of last fall, when he visited Nadal’s tennis academy and they talked about wanting to play a charity match, but they were too injured to do that. They were wounded old lions dreaming of better days, dreaming of pushing back against relentless Father Time. And they had done so. Then Federer said one more thing, he said he was happy to win, but he would’ve been happy to share the title with Nadal if that were possible. The mutual respect and admiration was obvious. The two went on a reunion tour of sorts. Federer won Australia, Nadal won the French, Federer won Wimbledon, and Nadal won the U.S. Open, the only major where the two have never played. Nadal finished the year ranked No. 1; Federer was second. Federer won all four meetings between the two in 2017, lifting his record against Nadal to a pretty respectable 15-23, including 13-10 away from Rafa’s clay. I’m sure the tide turning toward Federer helped my stance some, but it was bigger than that. Adding to the thaw was the first ever Laver Cup, where Federer and Nadal competed together for Team Europe and even played doubles together, a surreal and fun sight. So far in 2018, both have taken turns at No. 1. In January, again at Australia, I maybe came full circle on appreciating Rafa. He was struggling with an injury, but he kept fighting. He would win a grueling point and then pump his fist and talk to himself between points, chattering and muttering and willing himself onward, telling himself to keep fighting and keep chipping away. He eventually hit the end, retiring while losing to Marin Cilic. When I saw pictures of him lying on the court in obvious pain, receiving treatment, I didn’t feel any restrained jubilation. I felt empathy for Nadal, for his body not being able to do what he fought so hard to will it to do. After all these years, I knew he wasn’t a machine, like it had seemed at his most dominant points. He wasn’t a wall. He was a man; it was his vast human will that had pushed him on, even when fatigued or injured or both. His grit had led him to chase down ball after ball, to keep smashing shots fearlessly and counting on them to dive down inside the lines. There is simply no questioning the raging Spanish bull’s heart. The beauty of the Federer-Nadal rivalry is that it keeps writing new chapters, even when it was a bestselling book a decade ago. I don’t know what twists and turns remain, and I’m sure I’ll find myself mildly rooting against Nadal if it could help Federer’s chances. But I’ve come to realize that Federer’s 20 Grand Slams and vast career accomplishments aren’t lessened by whatever Nadal does. And most of all, for my favorite athlete of all time, I couldn’t ask for a more worthy rival. Zooming along the Top of the Rockies Byway last August, I recognized Mt. Elbert as soon as I saw it, a graceful and lofty pyramid rising on the horizon, looking like you’d handed a child a crayon and asked them to draw a mountain. I study Wikipedia the way men on a higher plane might study Shakespeare or a new language, so I knew the look and shape of the mountain from its well-worn Wiki entry. Five friends and I had driven there, to Leadville, Colorado, to climb that mountain. Here, reader, I ask for your input. Does it sound more impressive to describe Mt. 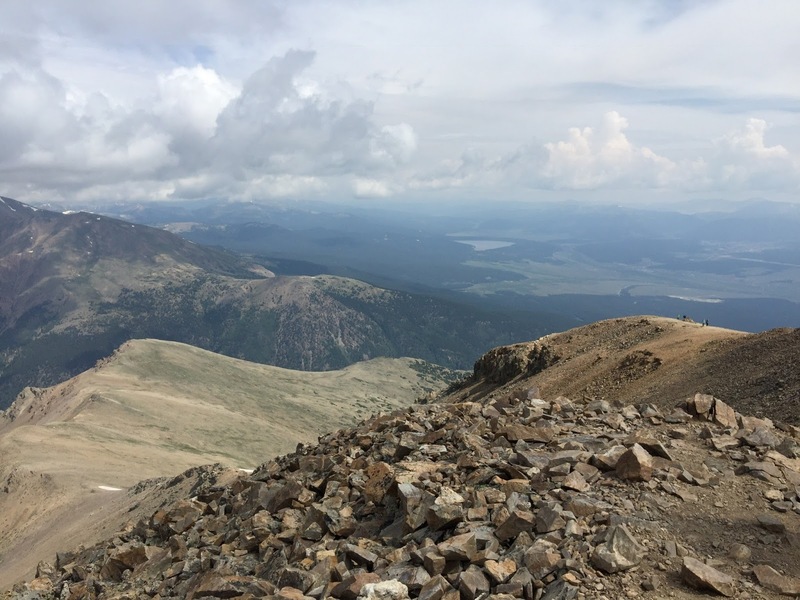 Elbert, at 14,440 feet, as the highest mountain in Colorado, the highest mountain in the Rockies, or the second-highest mountain in the contiguous U.S. states? (Narrowly trailing only that showoff Mt. Whitney.) Whichever sounds most impressive to you, we’ll go with that. Also dominating the view was Mt. Massive. The name is appropriate, and it appears even bigger than Elbert from the streets of Leadville. It’s only a dozen feet or so shorter than Elbert, and my mom tells the story of hiking Mt. Massive with her family on a vacation. They didn’t go all the way to the top, but they got so high a thunderstorm and rainbow passed by below them. So yes, the view is breathtaking, including in the literal sense. 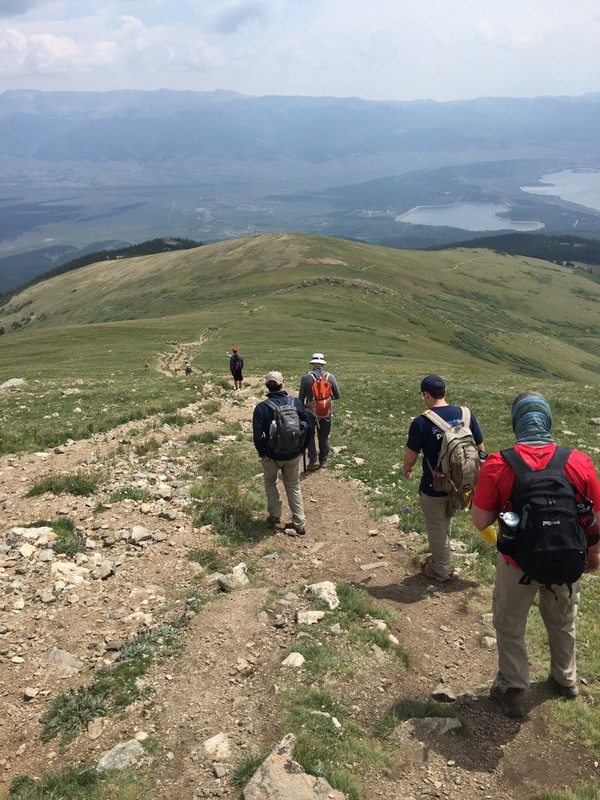 If Denver is the Mile High City, Leadville is the two-mile high city. Aspen, where rich people romp, and Vail, where Gerald Ford schussed, are both high altitude skiing towns that are more than 2,000 feet lower than Leadville, situated more than 10,000 feet above sea level. When I laid down to take a nap at our lovely Air BnB house at the edge of town, I folded my hands over my stomach, striking the pose of a great man lying in state. Before I could get into deep sleep, I found myself startled awake trying to draw a deep breath of thin air. After living most of my life below 1,000 feet, I found I was having to work to get deep enough breaths at the high altitude. The weight of my hands on my stomach was too much of an extra burden. The thin air surely helped me soar to dunk on the decidedly-less-than-10-feet basketball hoop outside our rented home, and I drank water relentlessly to help ward off altitude sickness. We had some time to explore Leadville as we tried to acclimate. It’s a quiet old town, but it wasn’t always that way. It was once the second-biggest city in Colorado, a booming mining town. It was a wild and lawless town in the early days, full of mean men who were good with guns. Then the mayor had the brilliant idea to hire a guy who was even meaner and even better with guns to be the city marshal, and he generally restored order. The Tabor Opera House built by that mayor still stands on the main drag in Leadville. If more modern ghost stories are your preference, check out the Delaware Hotel. It was creepy and creaky and full of weird old photographs and weird old people who looked alarmingly like the people in the photographs. The receptionist spoke good-naturedly of all the “entities” that were supposedly in the hotel, in the casual manner that I might talk about a round of golf. We ate at the marvelous Tennessee Pass Cafe the night before our climb. I gamely attempted to go to bed early, even if my body was unsure with that foreign development. We started our climb before 6 a.m., just as light gathered enough to see. Weighed down by five liters of Smart Water and some food in my backpack, walking at the back of our group and the only one without a significant other, it felt like if this were a horror movie I would be ripe for being the first one picked off. It wasn’t a horror movie, but the climb proved to be plenty arduous. 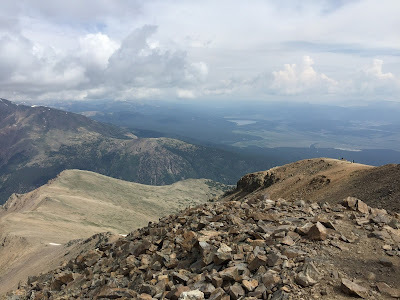 After a brief stint on the Continental Divide Trail, we turned left onto the South Mount Elbert Trail and climbed steeply. I breathlessly calculated how quickly I could chug water to lighten my load. After a while the trail leveled off some to become a more steady, gradual climb. The trees thinned and we began to see spectacular views to mountains on the horizon and Twin Lakes and the Arkansas River valley far below. Eventually we got high enough we stopped seeing Aspen trees. And then we got high enough the evergreen trees ceased as well, there going the last option for places to relieve yourself in a dignified manner. Periodically we would stop and rest and guess how high we’d made it. Other groups would do the same thing, and so we’d seesaw back and forth ahead of each other. One such group included Wisconsin Man, a presence wearing a Badgers sweatshirt and khaki shorts, climbing the peak as a Wisconsin Man would, with as little fuss and gear as possible. He didn’t have a pack at all, perhaps just a water bottle in hand. As we climbed higher, in general the wind was blocked by the mountain itself, but at one spot some strong winds hit, and I started layering on clothes, cocooning myself in wind-resistant material. But overall the weather cooperated, the wind was minimal, and the sun shone on us. The trail was less kind, turning and seeming to go straight up a wall. I metaphorically hit a wall as we churned upward. With my pack on my back, I was leaned forward, nearly on all fours, moving along with the drifting and gradual movements of an astronaut in space. At one point I gathered enough breath to tell my friend Nathan Yount I might be nearing my limit. His response was perfect, just a slight tilt of the head and raise of the eyebrows, and he kept inching forward. That was all the discussion I required, and I kept struggling upward, taking deep, frequent and unsatisfying breaths. Eventually, mercifully, the extreme steepness yielded to a more gradual, back-and-forth climb, and my optimism grew. We kept at it with a deliberate pace and ample rest breaks. Once, while resting on a grassy overlook, I was taking a picture of my friends Chase Ruble and Caleb Barron looking out at the spectacular view, when a large and friendly dog happened by. He walked over like an Alpine St. Bernard making a mountain rescue, but instead he lowered his head to inspect the contents of my backpack. Deciding he could do better than Smart Water, Uncrustables, fruit snacks (mostly empty wrappers) and Clif bars, he sauntered on. We would next see him at the summit, where he was the star of the show. We moved on, but it was far more of a trudge than a saunter. Excelsior. Upward. Like stores on Black Friday, the terrain above 14,000 feet is not a hospitable place for a human. But we could see the bright colors of people on the summit, and determination was the great rubber band stretched between us and that summit, drawing us closer. Finally, we made the final steps over shattered rocks to the summit. My friends Seth and Oren Maberry, as brothers do, raced to be the first to set foot on the summit. We made it, all six of us. The summit was a pretty good-sized area, and pretty well populated, as expected on a nice weather Saturday morning in early August. The views were staggering in all directions. Mount Massive right next to Elbert. Leadville way down below in the valley. Towering “14er” peaks both near and far, distant ranges a hundred miles away, snow and valleys and lakes. We took photos, sat together and ate some lunch. We had done it! … Well, half of it. Next came the little matter of getting down the mountain and back to our car. We had more incredible views and a sense of accomplishment, but more than once I looked back up at the mountain and kind of wondered how we had done it. Quads quivering, skin pinkening in the sun, and dust rising, we made it back down. Back at our AirBnB, I toasted our efforts with a glass bottle of pop and housed about six Kings Hawaiian rolls, assuming I had racked up a lifetime carb deficit. We put the party in climbing party and dined that night as conquering heroes, but also tired, humbled heroes. I had assumed it would be hard to climb the mountain, and it had been even more challenging than expected. The squeeze had been harder than anticipated, but the juice had been sweeter. A good pair of Nikes, prayers, Uncrustables, the encouragement of great friends and general Midwestern stubbornness had lifted me onward, up to the top of the Rockies and to our little lunch spot in the sky.